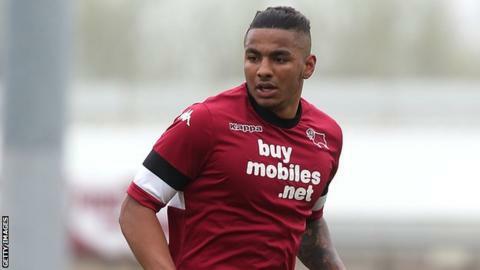 Northampton Town have signed former Derby County right-back Josh Lelan on an 12-month contract. The 20-year-old joined the Rams' youth system at the age of 15, but failed to play a first-team game for the Championship side. However, he has had loan spells at both Gateshead and Swindon, making a total of nine appearances. "Josh is mobile and athletic and he can fill in other positions as well," said Cobblers boss Chris Wilder. "He has a good pedigree, he has had a good grounding with Derby and he has had loan spells at clubs who play a good footballing style," Wilder told the club website.